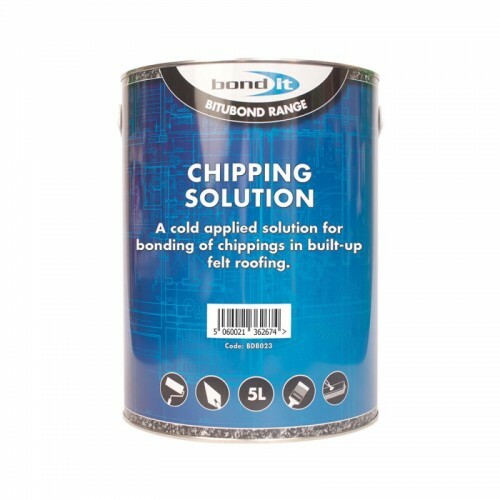 A ready-to-use, premium grade, cold-applied bitumen solution for bonding chippings to roofs that are flat or of low pitch up to 10o. Has immediate resistance to rainfall and provides protection from sunlight. Can be used with chippings such as flint, gravel, limestone, granite and white calcined spar. Weatherproof finish with F.A.A rating for ignition, penetration and spread of flames. Application by stiff broom or brush. See Technical Data Sheet for full application details.